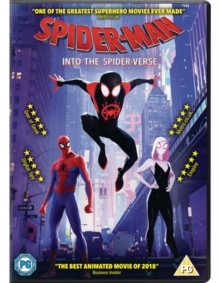 Animated superhero film based on Marvel Comics character Miles Morales and featuring the voices of Nicolas Cage and Liev Schreiber. Brooklyn teen Miles Morales (voice of Shameik Moore) thinks he is the one and only Spider-Man but in the shared multiverse known as the Spider-Verse there are alternate universes and each one has its own version of Spider-Man. When The Kingpin (Schreiber) uses his supercollider and causes these different versions to collide and meet in modern day Brooklyn, the superheroes must work together and use their differences to help save the world.